There are a number of reasons to trim your trees. For example, maybe your neighborhood got hit by a recent storm and now you’re tasked with removing some damaged branches. On the other hand, perhaps your tree is starting to encroach on a neighbor’s yard or nearby power line and you need to take swift action. It’s never a good idea to cut branches that are close to the main trunk of the tree. Not only does this impede the tree’s innate healing ability, but improper cutting also creates an opening for pests and diseases. Do your tree a favor and only trim branches that are 1.5 inches in diameter or smaller. It might seem innocent enough to make tree trimming a part of your weekly outdoor chores. However, you should avoid pruning more than 15 percent of the foliage of a mature tree at any point. A homeowner who trims too many branches, or the wrong branches for that matter, could be left with a significantly damaged or dead tree. 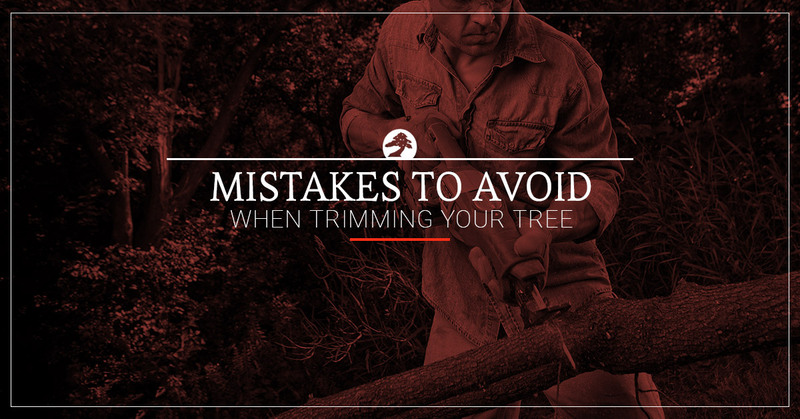 We bet you didn’t know there is a right and a wrong time to trim your trees. It all depends on the condition of the tree and its species. Be aware that pruning at an inopportune time could lead to stress and/or disease for your tree in the not-too-distant future. This is a big one. There’s a myth out there that topping makes a tree produce more blooms. However, this trimming technique is certain to leave you with an ugly, deformed tree that will never look the same. So if anyone (including a shady tree service) tries to sell you on topping, it’s reasonable to assume they don’t know much about tree care. As you can see, there’s a lot that can go wrong with DIY tree trimming. We haven’t even mentioned the safety factor that comes into play! If you feel at all skeptical pruning your own tree or don’t have the right tools for the job, hire a certified arborist instead. With the number of so-called “tree experts” in Northern Colorado, how do you know which one to hire? Schra Tree Care has been Loveland’s choice for plant health care for more than three decades. In addition to tree trimming, we also specialize in pest and disease control, deep root fertilization, and tree removal. Schra is also well-versed in all things related to the destructive Emerald Ash Borer. Reach out to us today to schedule a consultation.